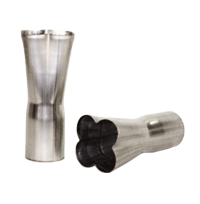 Huth is proud to offer a new COMPLETE line of exhaust collectors engineered to meet all your custom design needs from the high performance street racer to professional stock car racer. 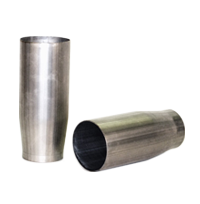 Collectors are available in both Aluminized and 304 Stainless Steel. 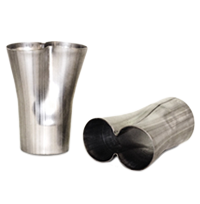 These high quality economical exhaust collectors will help to significantly reduce design time and they are the most common header collector used in todays High Performance market. 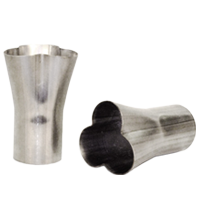 Custom Exhaust Collectors available. Complete the COLLECTOR ORDER/REQUEST QUOTE FORM or Call 800-558-7808 for your specific requirements.